Successfully Added Screen + Speaker MP3 Player - 4GB Music Entertainment to your Shopping Cart. 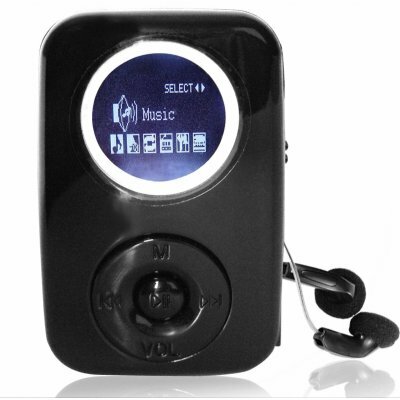 Fist Sized 4GB MP3 player with many features packed in including a high contrast backlit screen and a super sound quality from the built in speaker. With this MP3s sleek and elegant design, along with its black matte finish, people will never guess that it was gotten for a super low wholesale price. Import this high end MP3 player direct from China with absolutely no MOQ, and Chinavasion's one year warranty.. Please note, where you see 2pcs earphones pictured, the earphones have now been upgraded for free to 1pc high quality bud earphones. Click here to see the upgraded earphones.